Dungeoncraft is an upcoming Tile-Building game where players become Adventurer Prospects that enter the Infinity Maze to gather materials for quests while slaying monsters on the path to become Legendary Heroes. And all generated by a single six sided die. For the upcoming Game manual, I have begun to develop the artwork for the book to showcase the various monsters and classes available in the game. The ghostly Wraiths are the last creatures showcased in the Tier One Encounter List. 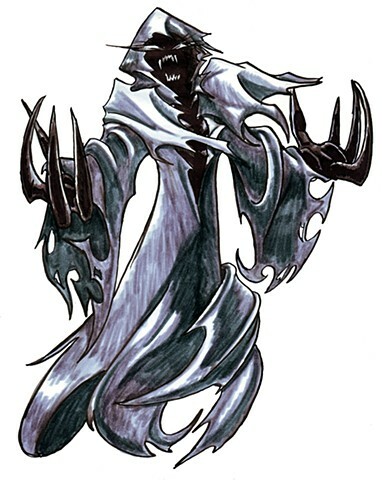 My design is to show the wailing aspect of Wraiths and further emphasizing the animate nature of the Wraith's robes. I used brush pens for most of the shading, but used a Sharpie marker to make the claws and face completely cloaked in shadow.